NWA President Billy Corgan says the promotion is planning to re-introduce several more championship titles. This past weekend, Cody made made history by capturing the NWA World Heavyweight Championship at All In. 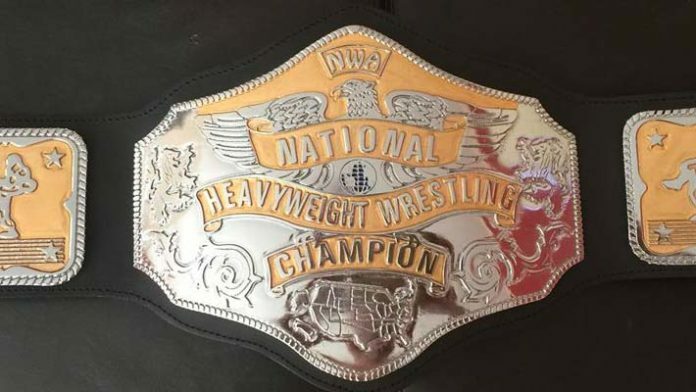 At next month’s NWA 70th Anniversary event from Nashville, the organization will re-introduce a “re-christened” National Heavyweight Championship. The NWA National title was first introduced in 1980. It was held by legendends such as Jack Brisco, Tomy Rich, Paul Orndorff, Dusty Rhodes, Larry Zbyszko, Ted DiBiase, Tully Blanchard and Nikita Koloff. The National title was vacated back in February. The NWA has yet to announce who will challenge for the NWA National title on 10/21, but they are not stopping there. According to Billy Corgan (via Instagram), the next focus will be the Tag Team and Women’s Championships. NWA executive Dave Lagana clarified on Twitter earlier today that the NWA tag titles are currently vacant. Following the success of All In and Cody being the current NWA World Heavyweight champion, it should be interesting to see how The Elite factors into the future of the National Wrestling Alliance. Will the Bullet Club remain with Ring of Honor and New Japan Pro Wrestling? Will they start their own promotion? Will they be part of a full NWA reboot? These questions remain unanswered, for now.